"Many of the things that seem to be luxuries today will become the norm in the near future." 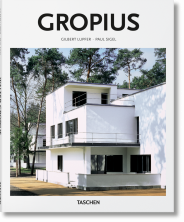 Born and educated in Germany, Walter Gropius (1883-1969) belongs to the select group of architects that massively influenced the international development of modern architecture. 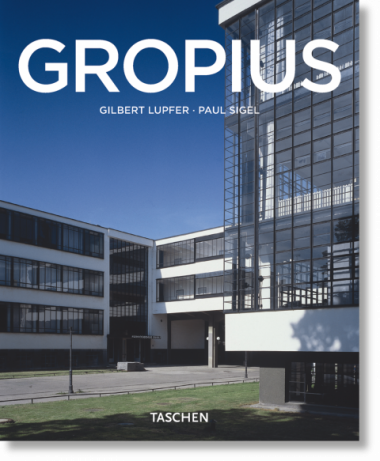 As the founding director of the Bauhaus, Gropius made inestimable contributions to his field, to the point that knowing his work is crucial to understanding Modernism. 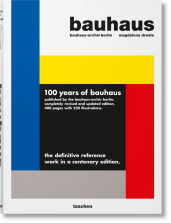 His early buildings, such Fagus Boot-Last Factory and the Bauhaus Building in Dessau, with their use of glass and industrial features, are still indispensable points of reference. After his emigration to the United States, he influenced the education of architects there and became, along with Mies van der Rohe, a leading proponent of the International Style. Gilbert Lupfer studied art history, history, Romance studies and cultural studies at the Eberhard Karls Universität in Tübingen and the Freie Universität in Berlin. Paul Sigel studied art history and German literature at the Eberhard Karls Universität in Tübingen. 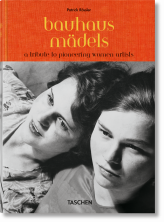 They both currently teach at the Technische Universität Dresden. 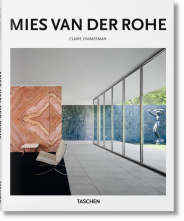 "This book again illustrates how TASCHEN brings beautiful art - in this case architectural design as art - to the masses in an interesting and informative way."